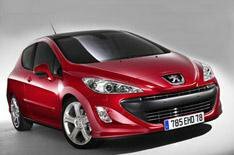 Peugeot scrappage deals | What Car? Peugeot is giving the standard 2000 scrappage discount, and putting in an extra few pounds itself. For example, the 207 Verve is down to 8,740 (a total saving of 3,300), and the 308 Verve with Bluetooth kit to 10,995, a 4,300 reduction. The 107 Urban Lite starts from 5,945 with scrappage.